Now I am retired from my day job and I found aout that 24/7 is not enough for this Astronomy hobby. Also having installed better mounts with which I am very satisfied finally I can go troublefree for exposures times of 15 and 30 minutes for a single image. Also the pointing is much better then before. Long time no active in Spectrographing and now a University here in Mexico approached me to make some images of Hot stars for them like HD 14947, HD 15570, HD 16691 and many others. I have a LISA at f/5.6 on a AT 8" RC telescope. Originally the scope if f/8.0 and I am using a 0.7x reducer from Optec Inc. Yesterday I made some test images from the HD 14947 using 120, 300 and 900 seconds exposure times, 10 and 7 images each, and now I would like to know what is the best practice for stacking these images. The imaging session was very interesting the star seemed to be nailed onto the slit ( Sorry I do not remember the slit width but so far I never turned it since getting the LISA) Is it the 23micron one ? 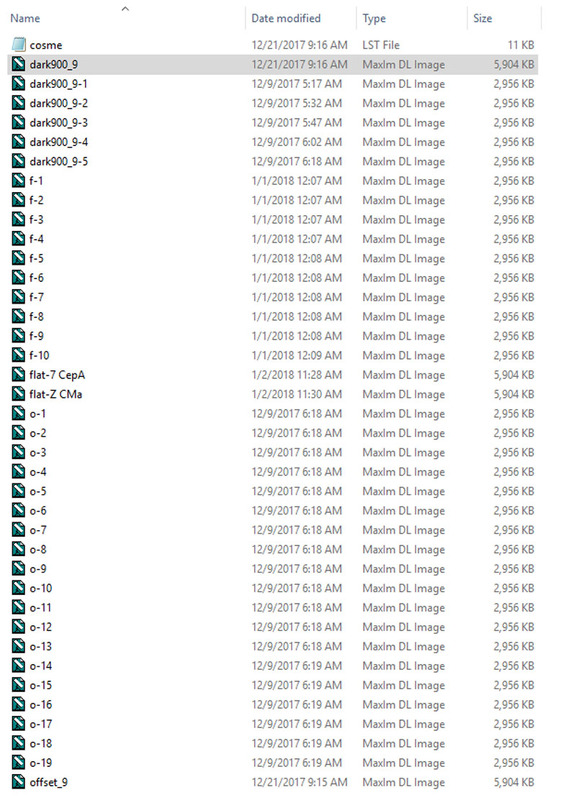 I have MaxIM DL as well as PixInsight for processidn the images. 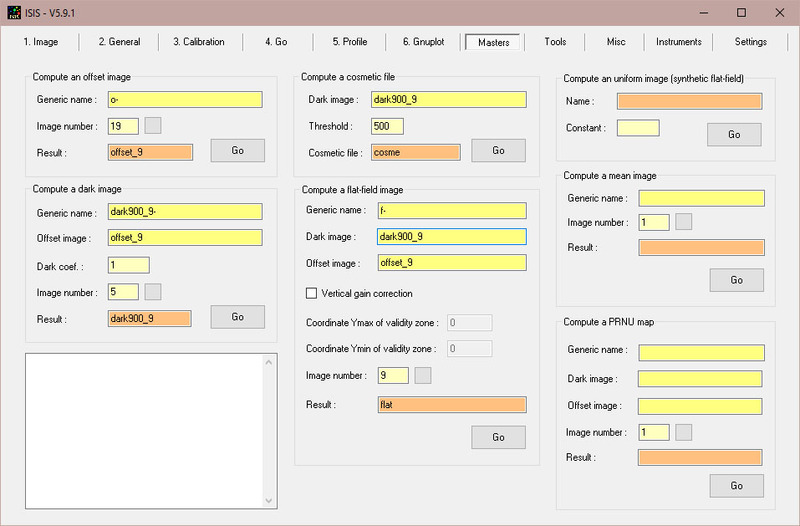 In Maxim there are five alternatives but so far I only have seen 2 known ways in PixInsight which are Average and Median and still do not understand what Maximum and Minimum is in PixInsight. Should I use Sum in MaxIM DL or what is best ? Of course I made Dark and Bias frame. Is it mandatory to use a Flat image too ? One more question. How do I know the resolution after developing the spectrum ? I normally use RSpec for the spectrum analysis. I really never did understand Vspec enough and RSpec is very intuitive and easy to work with. I also made some images using the Neon lamp insige the LISA and now I will ahve to learn how to calibrate my LISA again using that images. The middle line of the 5 H-alpha lines is exactly at 1167 pixels where it should be as the calculation in the manual. I have been playing with my spectrum images and found out, yes, flat is mandatory in order to get the correct shape of the spectrum. Now I have to find out the correct exposure time. You have a very nice setup. For processing spectra, you have to use a dedicated software. ISIS calculate the resolution after processing a spectrum. I am at the moment taking a new series of flats. I have the calibration module on my LISA with NEON lamp and the FLAT maker lamp. Later I will post what happened with my first flats I took. Perhaps the exposure time for the flat was much too long ¿? Will try the ISIS software. At the moment I am using RSpec from Tom Field in USA. Well I am getting better results and I know why I had a strange profile after applying a flat image. Here is an example of HD 14947 of the test which is much better then before. Exposure time was 900s for each image and I made 7 of it and processed in MaxIM DL. Would somebody please explain me why I have that steep fall off in the Blue side or UV area ? Is this due to the fact of the protectyion window of the camera ? I have no filter at all except the window which covers the CCD chamber. How do I change the software to English language ? Last edited by Robin Leadbeater on Mon Jan 07, 2019 5:29 pm, edited 1 time in total. Would somebody please explain me why I have that steep fall off in the Blue side or UV area ? Is this the spectrum after applying the instrument response? If so I suspect you have not accurately fitted the instrument response at the blue end. This can be difficult because the signal is low in this area because of the camera and grating sensitivity and the low output from the flat lamp. See this recent thread for example. Thanks for the answer in regard to the blue part of the spectrum. I read the topic in question but still do not know what to do. There is no conclusion so far I understoos or perhaps I am just dense. Can I use daylight for making FLATS ? or must it be exactly those 4700 K color temperature ? The main directory, ___CCDHome01Jan18(-9)CDK17-LISA-23micronSLIT, is where all the object(s), Neon-Ar calibration, & Tungsten flats are located. The sub-directory, ALL Processed Spectra_BeSS Check, is the place I put each fully processed object spectra that is ready for BeSS submission. Please don't be afraid to ask questions. Many folks here are most helpful in having others master Isis spectral processing.